Two years ago, the Feelies celebrated their 40th anniversary as a band. But, their long career has not been a continuous one. When a band has existed more than four decades, there’s a good chance there was at least one hiatus along the way. The Feelies, who are performing on May 12 at the World Café Live (3025 Walnut Street, Philadelphia, 215-222-1400, www.worldcafelive.com), went on hiatus in the summer of 1991. It only took them a little less than 17 years to get back together. The legendary and influential rock band reunited at Battery Park in New York City on July 4, 2008 as the opening act for Sonic Youth. 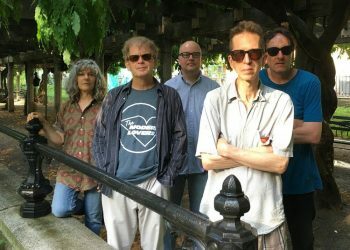 The classic Feelies lineup of Glenn Mercer, Bill Million, Dave Weckerman, Brenda Sauter, and Stanley Demeski, performed its first show since 1991. Mercer and Million had been talking for some time about the possibility of a reunion, and eventually in the spring of 2008 when Sonic Youth guitarist Thurston Moore asked them to open the Independence Day show at the River-to-River Festival, they just felt that the time was right to come back. So, on June 30, 2008 at their “home” venue, Maxwell’s in Hoboken, New Jersey, the Feelies played their first show in almost 20 years with the now classic five-member line up. This first concert was followed by two more in the same venue and the one in Manhattan on July 4. From then on, the band played live quite regularly — mainly in the NY/NJ area but also in Boston, Washington and Chicago. “There wasn’t any one particular thing that was a catalyst for us coming back together,” said Mercer, during a recent phone interview from New York. “One of the things making it more possible – there was more interest in the band with regard to licensing requests and re-issue requests. When the Sonic Youth invitation came up, we decided to go for it. The reunion went well so we decided to play more shows. Formed in Haledon, New Jersey in 1976, The Feelies released four albums in their first incarnation — including their critically-acclaimed and influential debut “Crazy Rhythms,” which was voted Number 49 in the top 100 albums of the 1980s by Rolling Stone magazine and chosen by Spin Magazine as one of the best alternative records of all time. 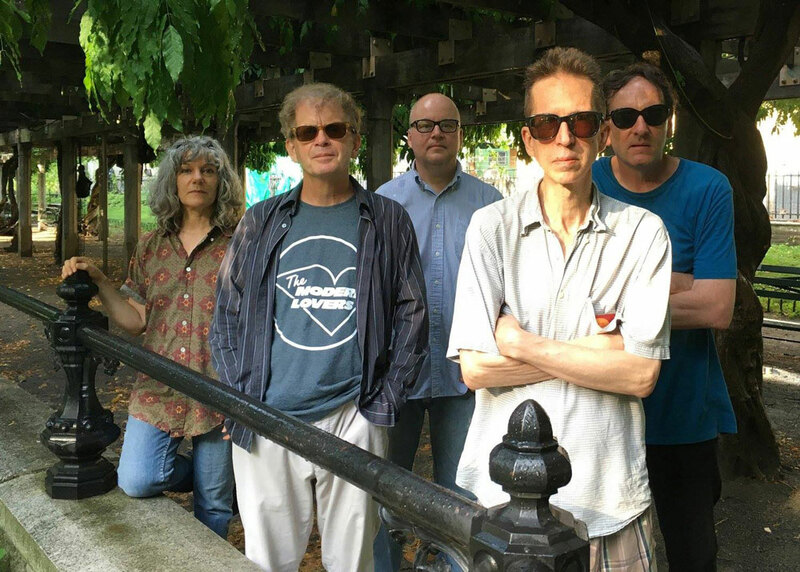 The Feelies are definitely a Jersey band – but not purely a Jersey band. 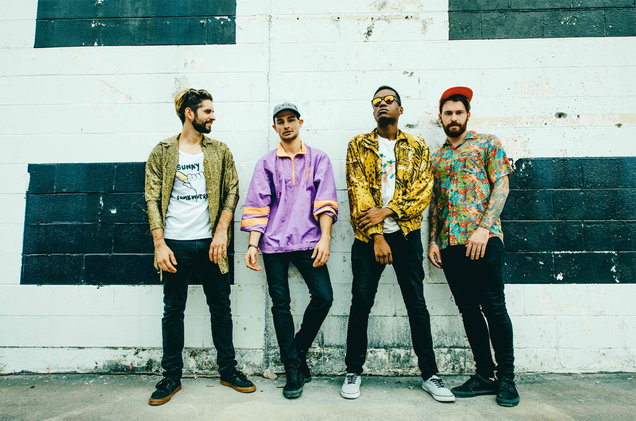 Since their return, the Felines have added two new albums to their discography – “Here Before” in 2011 and “In Between” in 2017, both of which were released on Bar/None Records. “We started recording ‘In Between’ at the end of 2015 and it came out in early 20178,” said Mercer. “It took us a while to make it and then we had it done a year before it came out. We did most if it at my home studio. “We’ve started to work on some new stuff. I don’t know what’s next. It will suggest itself when we have enough material. When we record new music, we put a lot of work into it. It’s got to be very organic. We tend to not over-think too much. Video link for the Feelies – https://youtu.be/tz2CNdup5Zw. The show at the World Café Live will start at 8:30 p.m. Tickets are $22 and $27. Egge recorded her first album, “River Under the Road” in 1997 with the legendary western swing band, Asleep At The Wheel. She has recorded 10 albums – the latest of which is “White Tiger,” which will be released on June 8 via StorySound Records. 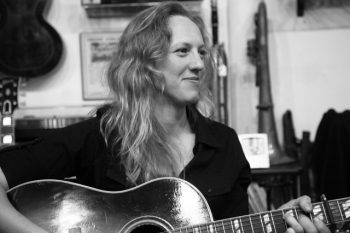 Over the years, Ana Egge has lived in a lot of different locales – from her birthplace in Estevan, Saskatchewan to her current residence in Brooklyn, New York. “I was born in Canada, but I grew up in the states – in the northern part of North Dakota,” said Egge, during a phone interview from her home in Brooklyn. “When I was 10, my family moved to Silver City, New Mexico. “I always wanted to play guitar. My dad played guitar and my mom played piano. And, my sister and I sang a lot. I started taking guitar lessons seriously when I moved to New Mexico. When Egge got bit by the music bug as a teenager, she took matters into her own hands — building her own guitar and moving to Austin, Texas to observe, absorb and take musical risks. She has worked with producers Martin Terefe, Jason Mercer, Joel Plaskett, Steve Earle, and Stewart Lerman, and recorded full albums with The Stray Birds and The Sentimentals. Now, in 2018, she has released her 10th album, “White Tiger,” which features nine originals and one John Hartford cover. The new album displays Egge’s singularly articulate and affecting honesty and sensitivity. “My new album is most connected to ‘Out Past The Lights’ but it’s a whole other step beyond,” said Egge, referring to her fourth album which came out in 2004. Egge collaborated with producer Alec Spiegelman (Cuddle Magic), whose contributions on reeds, keyboards, and vocals, together with his wind, string, and vocal arrangements, elegantly inform the whole. Other featured musicians include singer Anais Mitchell, guitarist Buck Meek (Big Thief), drummer Robin MacMillan (Aoife O’Donovan), bassist Jacob Silver (Amy Helm), and violist Adam Moss (The Brother Brothers). “We recorded it in Brooklyn at Alex’s space in Ditmas (Park),” said Egge. “We did it all digital and then mixed it to tape. “Some of the tracks are pretty sparse while others are more dense with string arrangements, horns and electric guitars, We fill out the sound well with a trio. I have Dave Cole on drums and vocals and Alec on bass clarinet and pump organ. I play guitar and sing. Deviating from the norm, Egge is touring the album before it is actually released. Video link for Ana Egge – https://youtu.be/iqsbYktgV1s. The show at Burlap and Bean Coffeehouse, which has Joshua Howard as the opener, will start at 8 p.m. Tickets are $12. 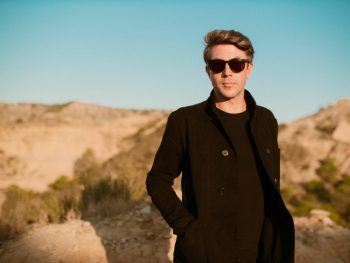 There will be a pair of interesting shows this weekend at Kung Fu Necktie (1248 North Front Street, Philadelphia, 215-291-4919, kungfunecktie.com) — Luke Winslow-King on May 12 and Swimming With Bears on May 13. Luke Winslow-King is a well-travelled musician. He was born in Cadillac, Michigan and spent a long time as a resident or New Orleans. He also has spent enough time in Italy that he could be an honorary resident of Tuscany. But, for now, he has returned to Michigan – returned home to Cadillac, a small city in the northwest part of the Lower Peninsula. Winslow-King is a guitarist, singer, composer, and lyricist known for his slide guitar work, and interest in pre-war blues and traditional jazz. How own work consists of an eclectic mix that takes in delta-folk music, classical composition, ragtime, and rock and roll and juxtaposes original songs with those from a bygone era. Winslow-King is now touring in support of his new album “Blue Mesa,” which features long-time collaborator and blues guitar dynamo Roberto Luti, Chris Davis of King James and the Special Men, and Mike Lynch on organ (Bob Seger, Larry McCray). His latest album is an example of craftsmanship at the highest level, radiating a warmth and timeless elegance. Adept at mixing country, blues, R&B, rock ‘n’ roll, and folk influences intuitively and masterfully, Winslow-King shapes a mood from many sources and moves it to a unifying place of acceptance and hope. “I recorded ‘Blue Mesa’ last July in Italy – in Lari in the Tuscany region. It’s an old fort – a walled city. My guitar player Roberto Luti is from Tuscany. He brought me to a studio he had worked at before. Mirco, the engineer there, is completely blind – but he can ride his bicycle through the village by bouncing his voice off the walls. “Blue Mesa” definitely has a fresh sound. It is no secret that Winslow-King is a student of the arts and an ambassador for New Orleans’s rich and colorful culture. As a teen, he attended the Interlochen Center for the Arts near his hometown of Cadillac, Michigan. Later, he studied music theory at New Orleans University and eventually received a scholarship to study music abroad in Prague, Czech Republic. Following a chance to move to New Orleans after becoming stranded when his tour van was ransacked. During the aftermath of Hurricane Katrina, Winslow-King lived in New York City and was employed as a music therapist by the Institutes of Applied Human Dynamics in the Bronx. He also held a music teacher’s position at the La Velle School for the Blind. While in New York, he studied composition privately and recorded with Grammy nominated avant-garde composer “Blue” Gene Tyranny and attended Jack Hardy’s legendary songwriter’s circle. In 2007, Winslow-Smith headed back home to New Orleans after recording his first self-titled debut album and continued paying his dues — busking on Royal Street during the day and working in the clubs on Frenchman Street at night. In recent years, Winslow-Smith has been able to stake claim to three home areas – New Orleans, Cadillac and Tuscany. Video link for Luke Winslow-King — https://youtu.be/i9YvB9FmR3E. The show at Kung Fu Necktie, which has the Bells and Timothy Tobordo as openers, will start at 8 p.m. Tickets are $10. But, if you want to enjoy “swimming with bears,” you don’t have to go anywhere near dangerous waters. Swimming with Bears is a four-piece rock band based in Austin, Texas. The quartet — Joe Perry (vocals/bass), Alec Conte (guitar), Jon Kerr (guitar) and Ryan Hannasch (drums) – has been working tirelessly on new music as a calling card for its distinctive alternative-soul sound. In 2016, the band released its self-titled debut EP, featuring lead single “Shiver and Crawl,” which was produced by Matt Noveskey (Blue October. Then in 2017, the band went back in the studio to record more material with producer Gabe Simon (Dua Lipa, Kopecky). Now with the release of “French Girls” fans can look forward to more new music throughout the year. In addition to Lutheran undergrads, Seguin is known for its pecans and is billed as “Pecan Capital of Texas.” It is home to the “World’s Largest Pecan,” a 5-foot-long, two-and-a-half-ft-wide concrete nut erected in 1962, and to Pape’s Pecan House and Nutcracker Museum, which features a display of the world’s largest collection of nutcrackers from Germany, India, and around the world. “Most of us were in music programs at the university,” said Perry. “Back then, you would just bring a guitar to school, so you could pick up a girl. “I met Alec first. He was playing acoustic guitar at Knudsen Dormitory and had three girls around him. I said to myself – this guy is pulling the ladies, So, I asked him if I could play with him. “But, it was about more that just attracting girls. Alec is a really good guitarist. Before long, we added Jon and Ryan and we became a real band. “Now, we’ve been playing as Swimming With Bears for seven years. When we first got a manager, we started playing residencies in Austin. We were also playing shows in Corpus Christi. 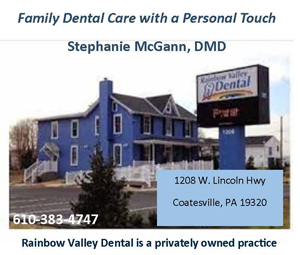 We had residencies three times a week. 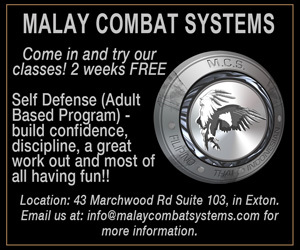 It really helped us hone our craft and get the word out about us. Austin is a town with hundreds of good recording studios but Swimming With Bears opted to do its recent recording work in Nashville. Swimming With Bears has fun in the studio but even more fun on the road. Video link for Swimming with Bears — https://youtu.be/lOFn63mTx_E. The show at Kung Fu Necktie on May 13, which has the Cuckoos and Saint Wilde as opening acts, will start at 8 p.m. Tickets are $10.